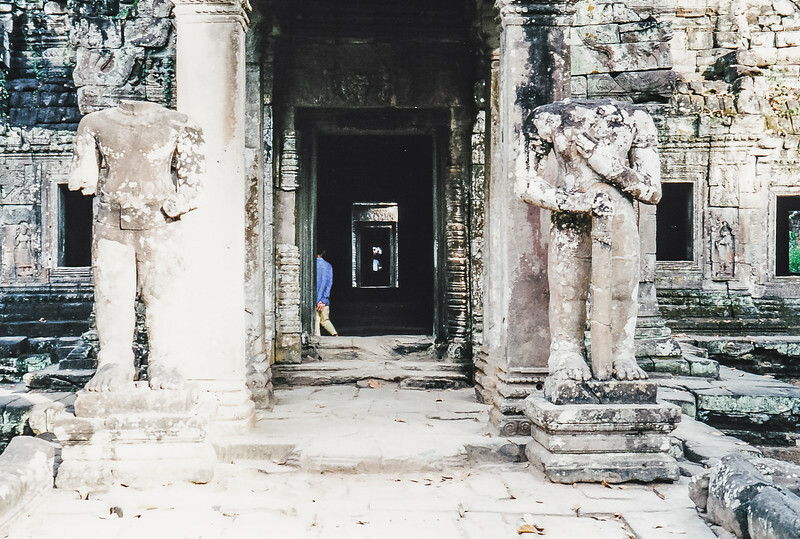 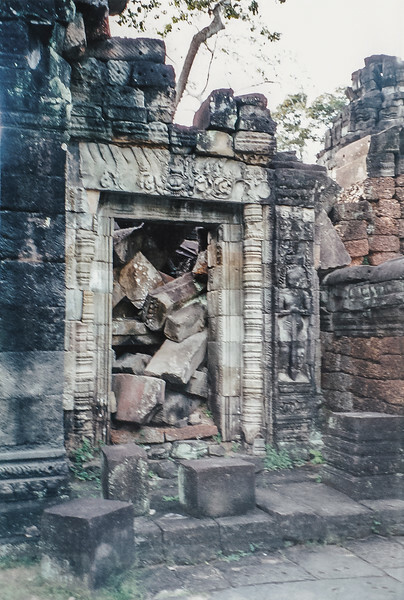 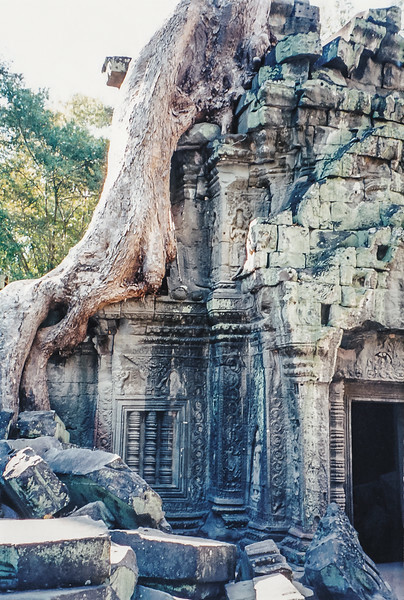 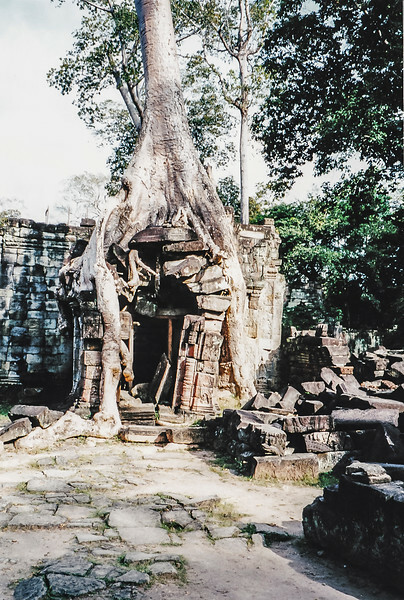 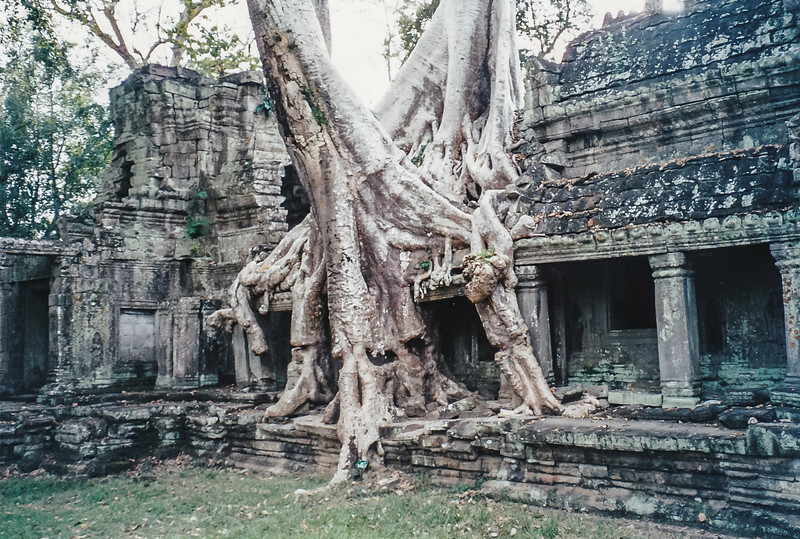 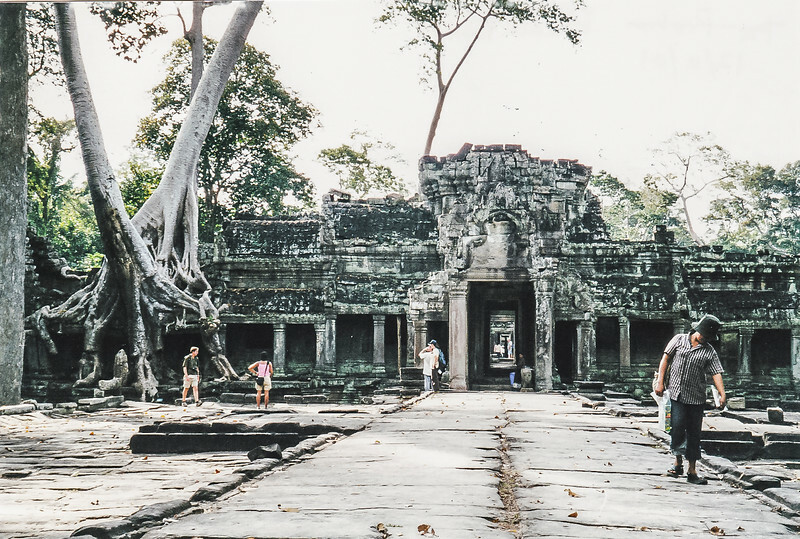 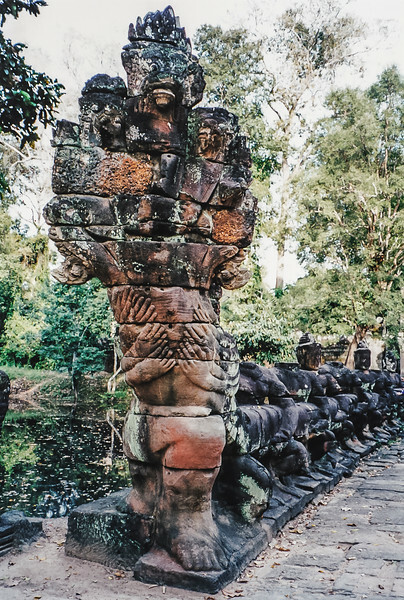 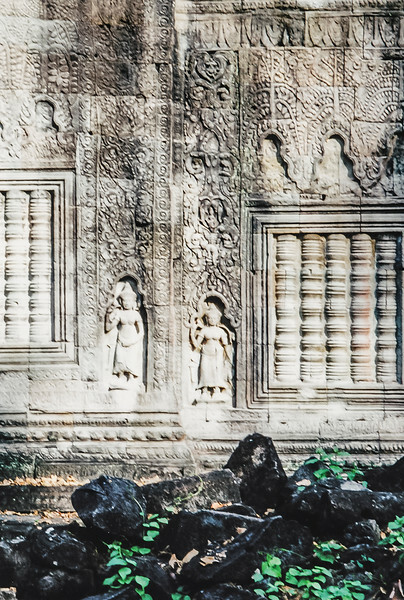 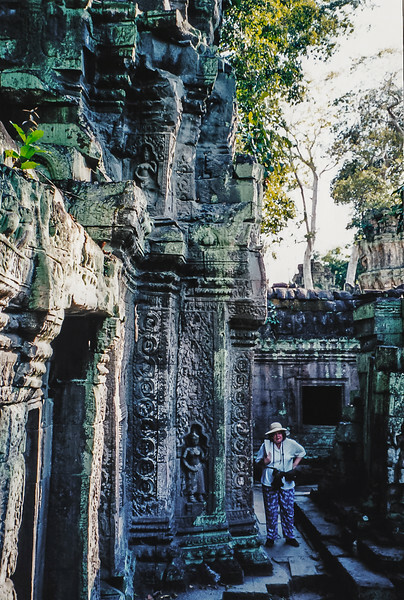 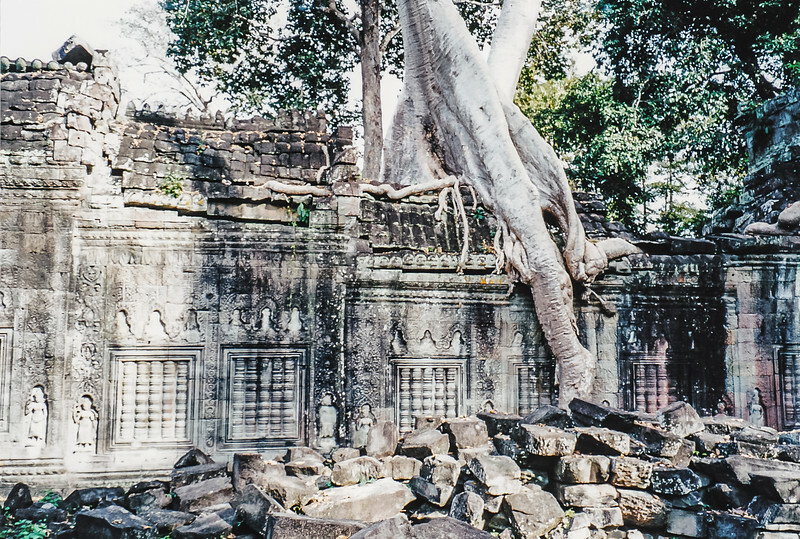 Preah Khan is one of the temples with trees growing though it, simultaneously destroying it and holding it together. 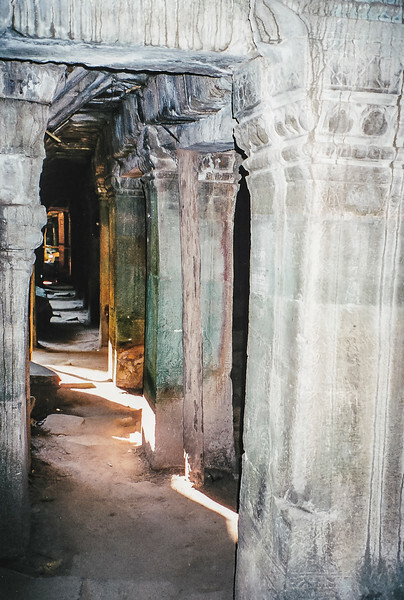 I found such temples most fascinating. 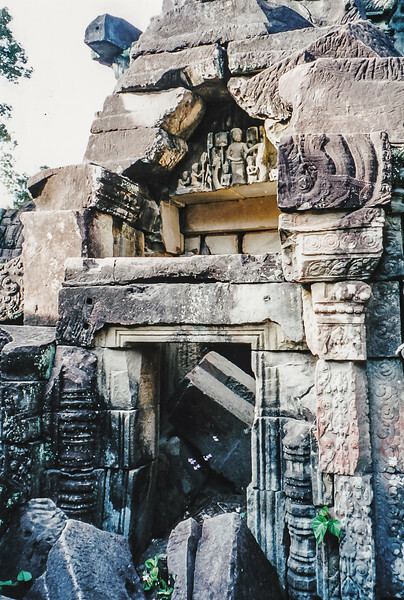 It is mostly unrestored, though some of it has been stabilized. 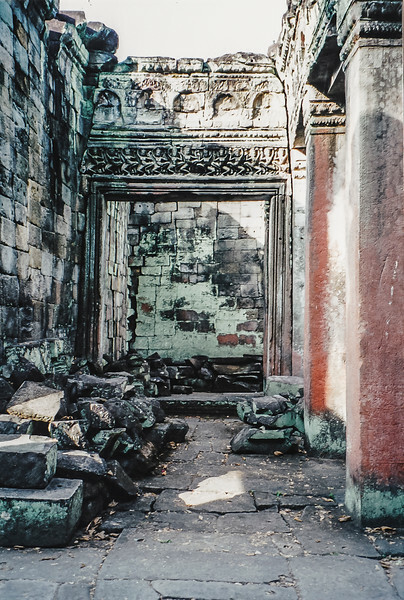 There is an intimacy and a spirituality to the unrestored temples. 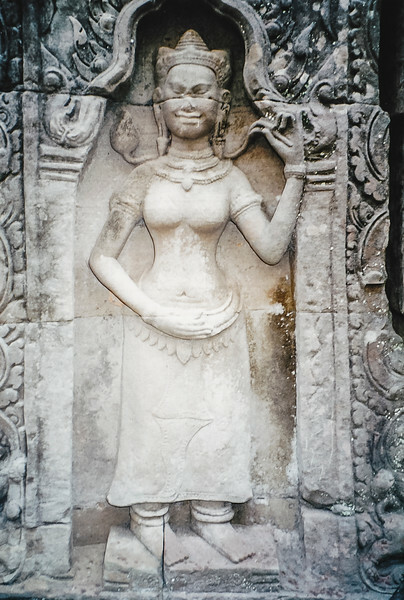 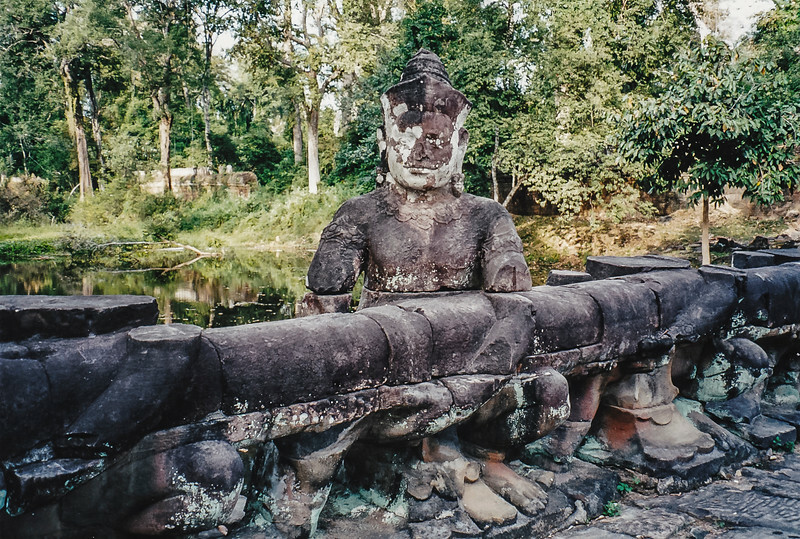 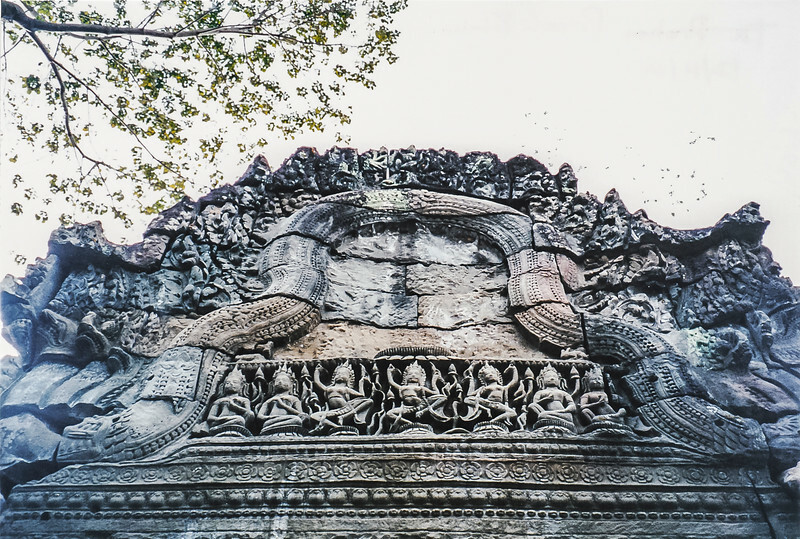 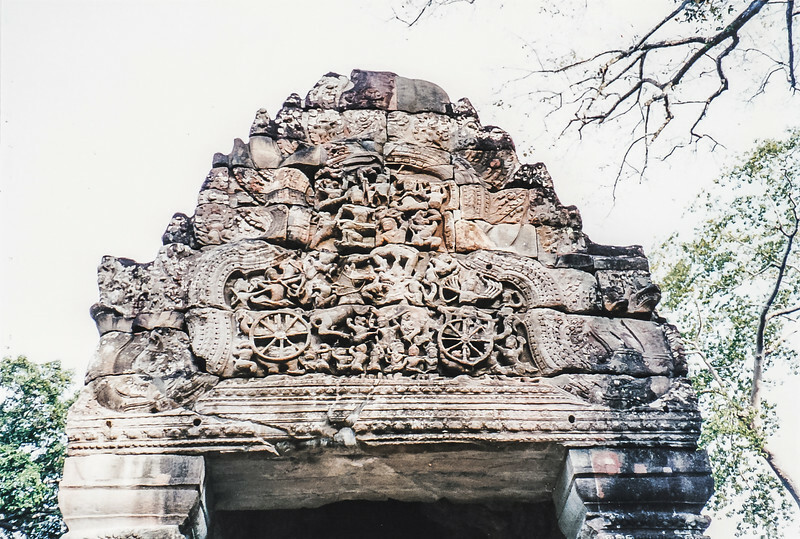 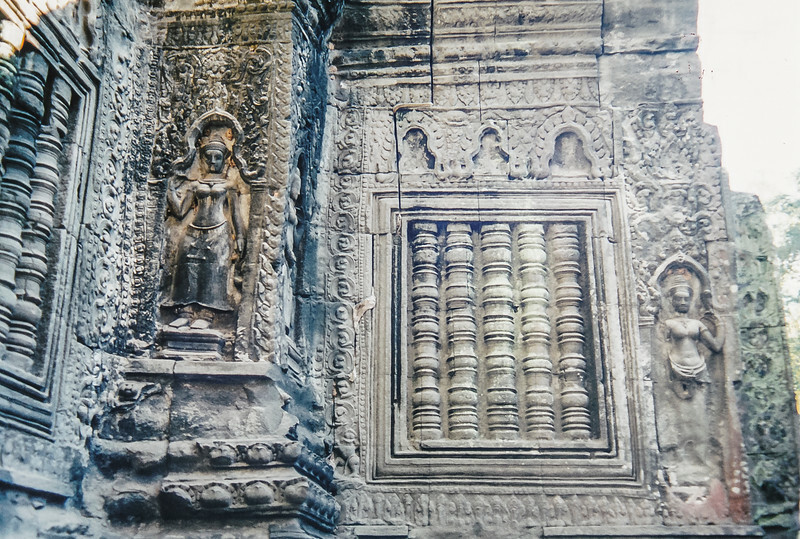 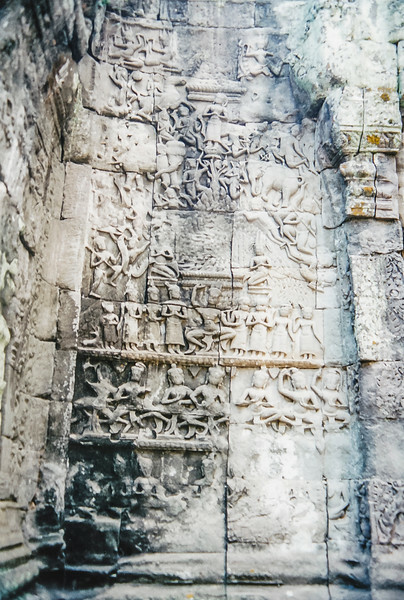 An interesting feature of this temple is that it was built as a Buddhist temple, but was later re-carved to be a Hindu temple. 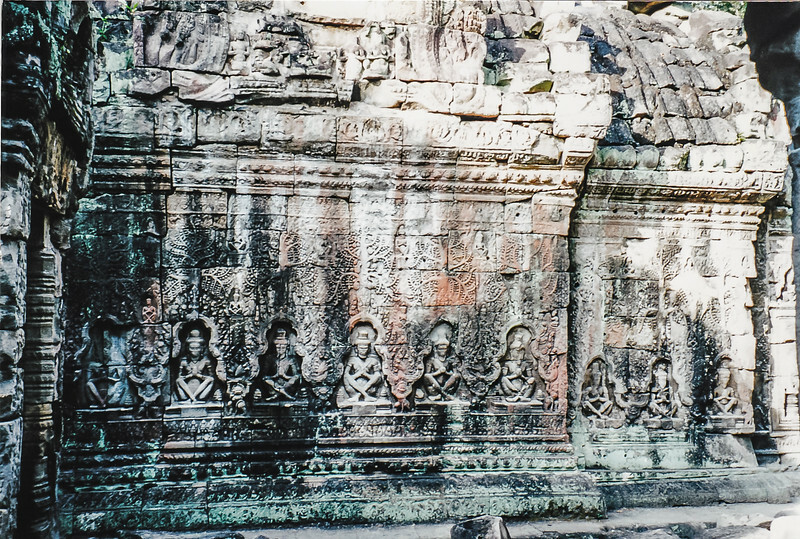 While visiting this temple, I spoke with a guard, who then offered to sell me his Cambodian police badge. 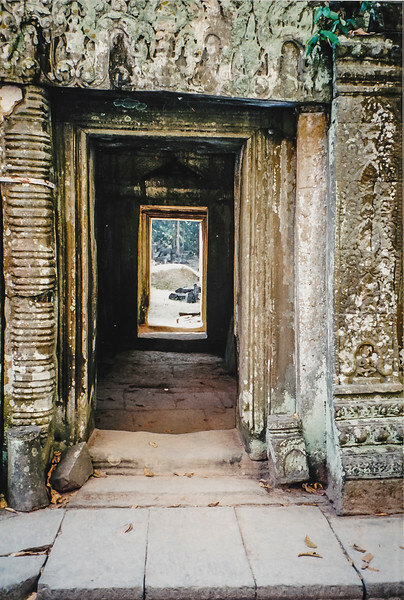 I declined, but another guard later made the same offer. 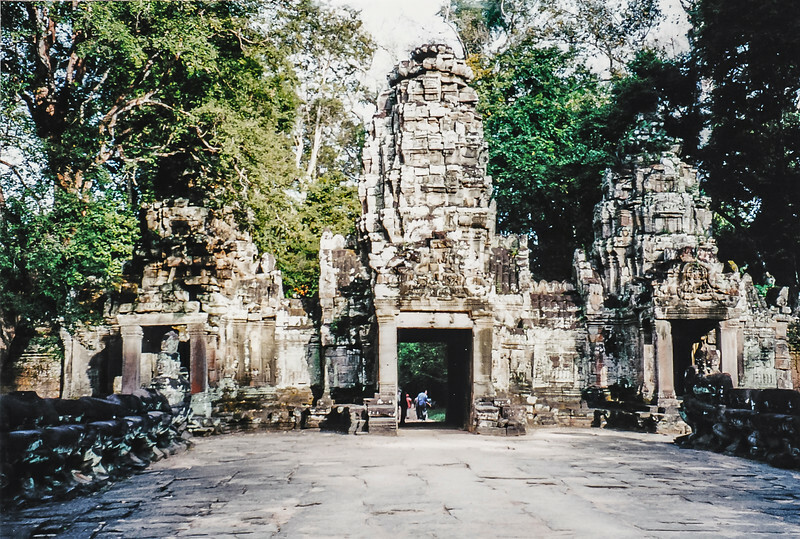 At another temple, I observed a visitor buying a badge from a guard for $15.